Our vision for HiiT SIWES+ is to prepare undergraduates for the IT industry both locally and internationally in such a manner as to become employer’s preferred choice for jobs. 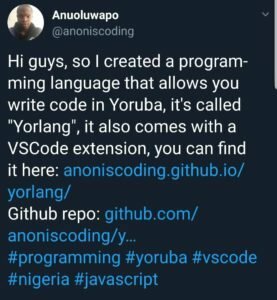 This entry was posted in Uncategorized and tagged hiit, hiitplc, java, Lagos, Nigeria, php, programming, siwes, siwesplus. Bookmark the permalink.